Van Hool, the well-known Belgian manufacturer of buses, coaches, trolleybuses and trailers, has purchased an AutoTURN network site license. 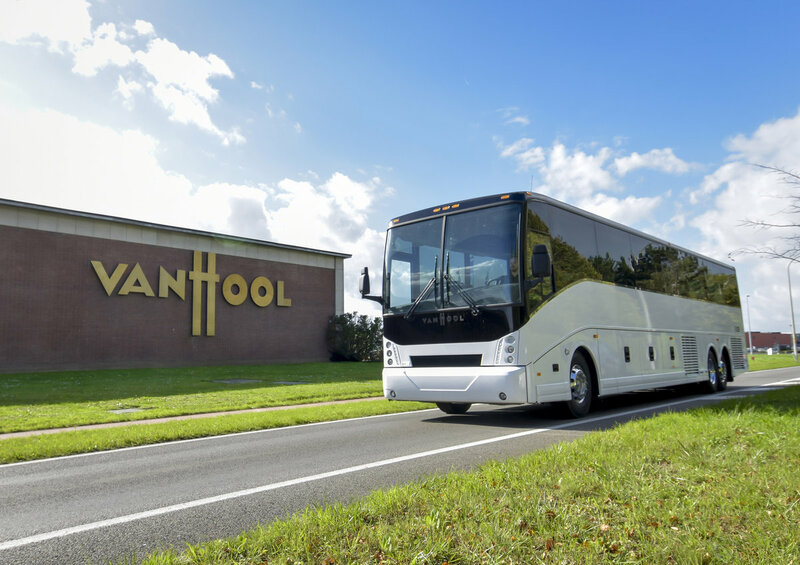 Globally Van Hool employs 4,500 people and manufactures over 1,700 buses and coaches (bodyworks and complete vehicles combined) and 5,000 trailers each year. They sell an average of 600 coaches annually in the United States. Until now, they have used their proprietary software to simulate their vehicles. As it was a rather complicated software, they looked to replace it with an easier and quicker method to handle requests from their customers (which are in many cases AutoTURN users, like city governments or bus operators ) asking about vehicle specifications and turning characteristics. Yorick Keeven, Senior Account Managers at Transoft’s EMEA office, visited their factories in Belgium in July for an extensive AutoTURN presentation to their team technicians. According to Yorick, it was very impressive to see their immense parking areas and halls full of buses and coaches, which already had the livery of their customers from all over the world. As a manufacturer Yorick said Van Hool has a critical approach towards vehicle simulations, but due to great advice from the Transoft team, we were able to take away most of their concerns.